If you’re a consumer, you may not have noticed one of the bigger shakeups in North American component distribution. Mid-last year, Shimano America announced that they would end relations with all but a handful of continental distributors for aftermarket components while “encouraging” retail shops to buy direct (with a B2B system that is loved by exactly no one). Ostensibly this move would help dealers maintain profit margins by eliminating venders from dumping inventory on the market, but many shops are upset about the change since they would prefer to just order parts from their preferred distributor along with their non-Shimano inventory needs. Other shops point out that the online retailers from the UK sell parts to consumers in the US for about the same price that the shops pay wholesale; the distribution change does nothing to solve this. And besides derailleurs and whatnot, Shimano plans to exclusively sell pedals directly to shops. Aside from my own angst, having to deal with Shimano directly, I am curious to see how this pedal plan will play out in the long run. In my mind, Shimano has been the industry’s 600-lb gorilla since the mid-1980s, wielding huge influence on bike design and distribution. But when Shimano stumbles, other players pounce. I theorize that SRAM’s move into the road market was triggered by a lag in Shimano’s deliveries for road product in the mid-00s. 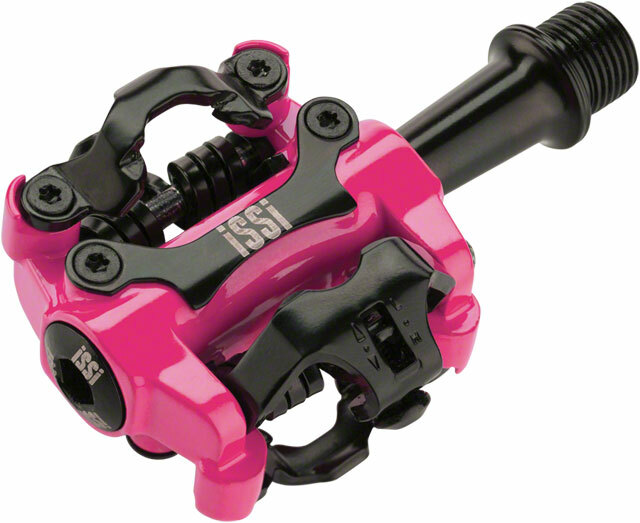 Up till that point, SRAM was strictly an mtb parts maker, but then you started to see SRAM 8 and 9sp cassettes/chains on many entry and mid-level road bikes. They also purchased Truvativ in 2005, given them presence in cranks and chainrings. At the same time, bike manufacturers had some delays delivering bikes because they couldn’t get the Shimano kits. Within a few years, SRAM debuted Force and Rival road gruppos. To be honest, I’m not sure how much of those events have a causal relationship versus merely correlation, but what is certainly true is that North American distributors are stepping up house brand pedal systems to sell to shops who don’t want to kowtow to Shimano’s distribution schemes. 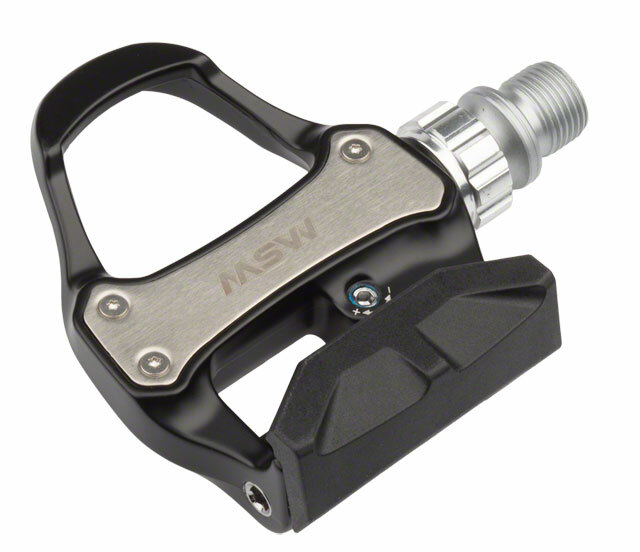 Most of these designs, like QBP’s iSSi and MDW lines, seem to be manufactured by ever incorrigible Shimano knock-off, Wellgo. As such, I’m afraid that my gut-instinct is that these initial offerings will be inferior quality, but who knows what the future will hold? Or perhaps another manufacturer will step in with the resources necessary to build and market a pedal system to go toe-to-toe with the venerable SPD. Maybe old school players like Time and LOOK will end up grabbing back market share.